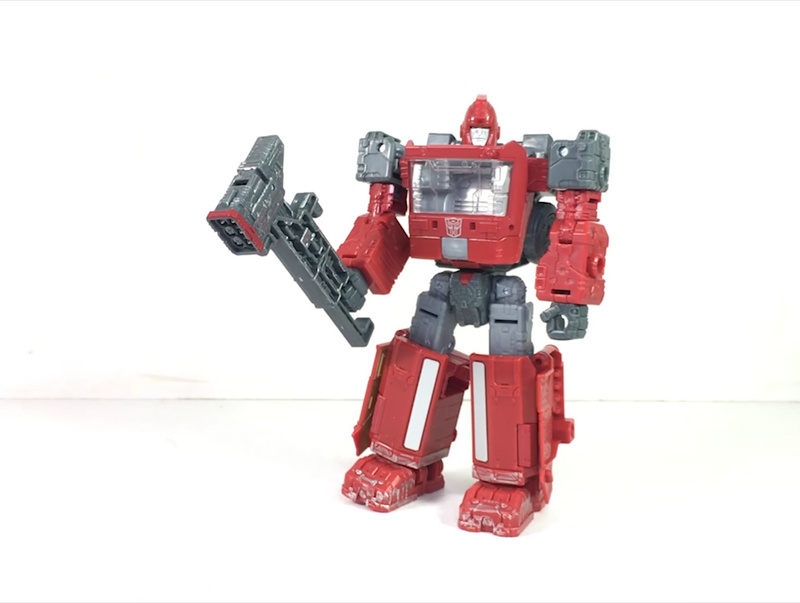 Autobase Aichi rounds off a week of reviews with the latest wave of deluxe Generations Siege figures by saving one of the most anticipated for last; Ironhide! The rough and tough Autobot is shown here in robot and vehicle mode. We we also get an idea how he scales in the line compared to his wave-mate, Prowl. 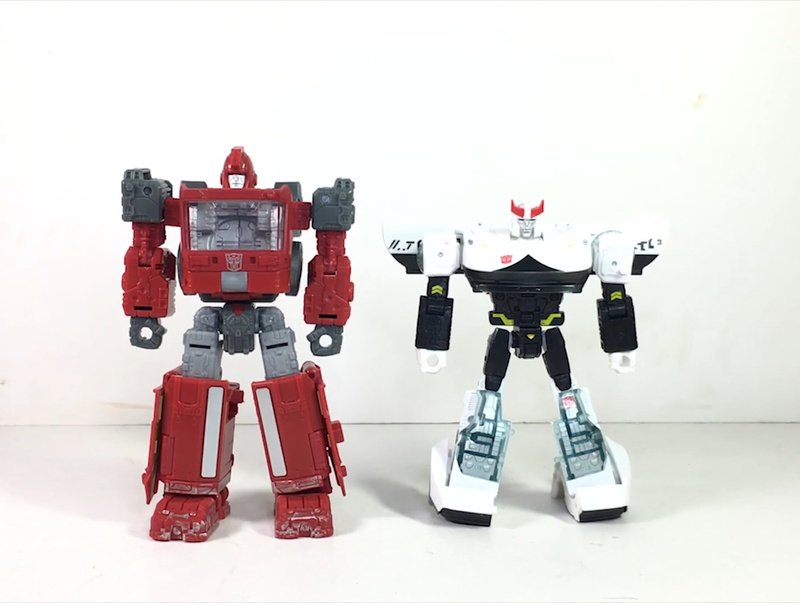 Ironhide is looking pretty large for a deluxe. So don’t let the deluxe packaging fool you. 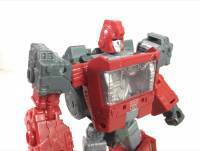 Ironhide appears ready to stare down some of the biggest Decepticons this side of Iacon. 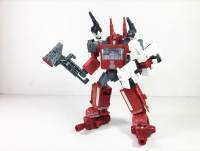 Also shown is Ironhide with added weaponizer armor comprised of weapon components from Wave 2’s Six Gun. You can view all the images, as well as a video review, after the jump. Check out our Generations news category to view the other in-hand images of Wave 2 Deluxe Siege figures as well as the rumored exclusive, Greenlight. Can't wait. 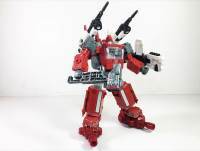 Having him and Chromia in the same wave together's just icing on the cake. I do hope Walgreens Ratchet comes out well. I cannot wait for this guy. The only deluxe I have is SIDESWIPE that my wife found all alone in a Target at Christmas time. Ready for these to be on the shelves. Though it didn't show exactly the same shape as he does in the first episode. But I want to see it. And if he can I will buy him. I’m sure people are gonna fan mode a better one anyway. Perhaps even a better cassette player/boombox. It's already been confirmed he can do the lamppost. It was seen painted gunmetal in one of the Siege displays awhile back. Soundwave better be able to do the " cybertronian lamppost" then he is an instant buy. Other than that I already got the masterpiece so not in a immediate need for him. 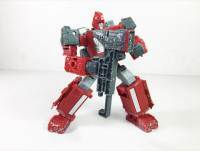 Ironhide looks great, a must have figure most definatley. Finally, a good Ironhide figure that isn't a combiner repaint. 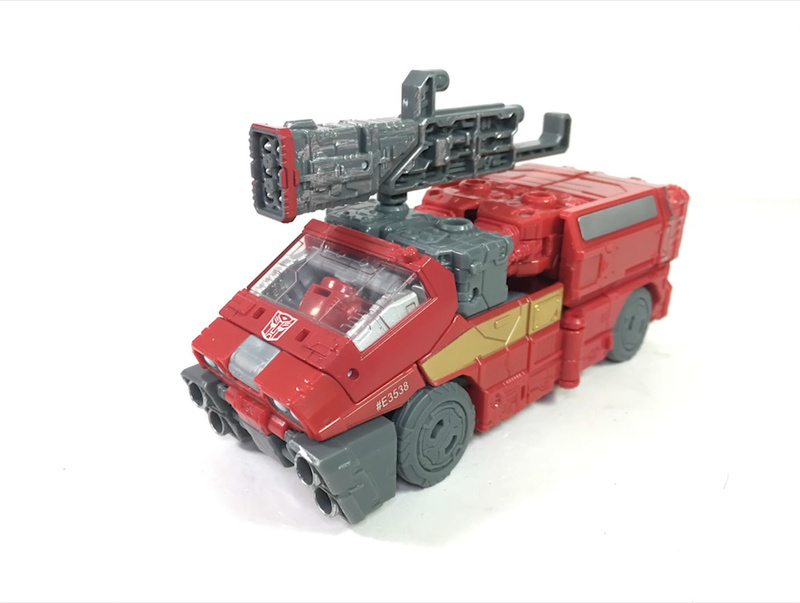 My one issue with this is that, unlike Optimus, Sideswipe, and Prowl, this vehicle mode looks quite a bit more alien, whereas the other Autobots seem to work well as either an Earth mode or Cybertronian mode. Unless I'm off here. Are there any real vehicles that this figure resembles? There are tons of vans driving around the world. DHL and UPS have plenty. I don't think his mode is that much more alien. Matter of fact non are. Not as alien as FOC had to offer. Since most of these vehicles have transparent windscreens. Only prowl has distinct alien marking behind the windscreen part. And he is seen as lackluster. Now is it this looks like a grate transformers toy & why do the rest look like happy meal toys? Starscream must be days from showing up…. Jazz the bot always meeting the short end of the stick. Either a shelfwarming piece of mess. " looking at you FOC Jazz". Or a total sidecharacter "Yes you movie Jazz" or a late wave leftover PotP Jazz. Sunstreaker is a given. 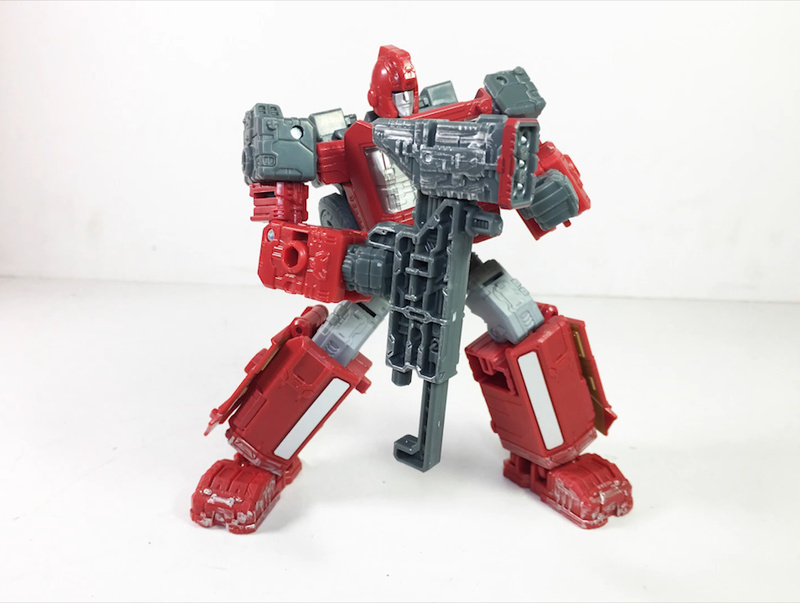 So is Red Alert. 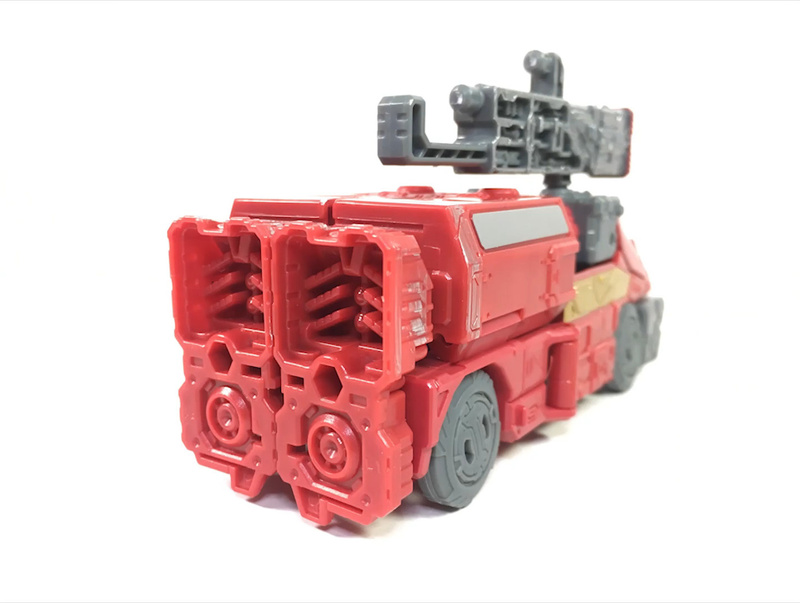 Ratchet from Ironhide and maybe even a Kup redeco…who knows. Also Prowl and his brother seems like a logical choice. I am curious what they will do with Hounds mold. What I hope we get is Wheeljack and Bumblebee from the first episode…that look. Hound looks like he'll be turned into Cybertron defense Hot Shot. I love Hot Shot as a character so delighted to see him return. Or remove his head for a heroicly nonsensical toy and 86 movie homage. Lol. That is the necessity of every ironhide figure. Well, Hound's boxart has him with Cybertron Defense Hot Shot's head. Could very well get a Cybertron homage. I might paint the inside of the windshield silver when i get mine. They did a good job themselves with the silver paint on the inside of the chest in an attempt to hide its hollowness, but it just doesn't quite cut it. Is it me or do the wheels look exactly like the wheels on Titans Return Kup? 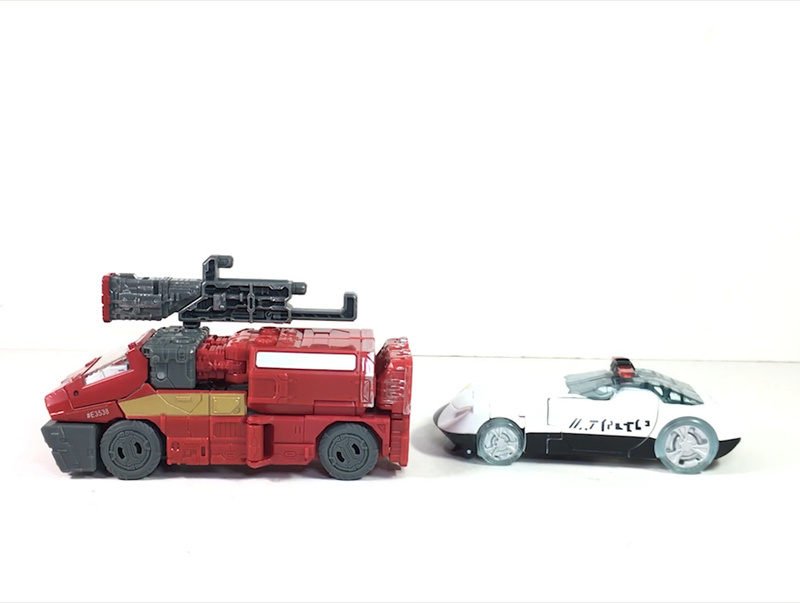 I wonder if you can turn his head around in vehicle mode for the complete G1 homage? Yeah, that clear plastic may knock Prowl down a peg. But I'm betting it won't seem too bad in person. I agree on your points about video reviews too. I appreciate anyone who does them, but its tough to beat Vangelus and Thew. But for early or pre-release reviews I'll take what I can get. On another note, can't wait to see Siege Mirage!!! 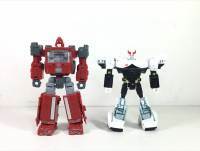 I'd LOVE a Sunstreaker to go with Sideswipe. And a Jazz in this vein, too!